A Virginia man is due to appear before a Grand Jury in February having been caught in his neighbour's garden while drunk, armed, wearing a camouflage mask and carrying "a suspicious bag of bacon". 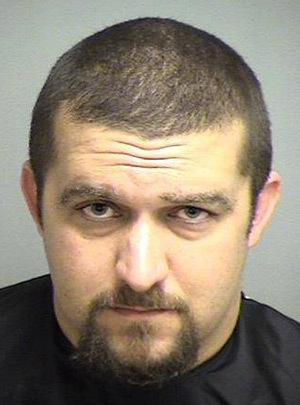 Evan Patrick Cater, 31, of Madison Heights, was cuffed last October when officers discovered him "hiding behind a dog kennel on a neighbor’s property around 10 p.m. Oct. 18 after the property owner heard his dogs barking and went to investigate", as the the local News & Advance explains. According to Amherst County Sheriff's Office, Cater was "intoxicated and in possession of a firearm" - a 9mm pistol - and also "in possession of bacon covered in an unknown substance". He's charged with "felony wearing a mask in public, misdemeanor trespassing, public intoxication and carrying a gun while intoxicated", the News & Advance reports, but there are no further details on just how suspicious the bacon turned out to be. However, neighbour Bobby Wood - on whose property Cater was cuffed - told an Amherst County judge earlier this week that his wife had "previously reported Cater to authorities because Cater was shooting a firearm in his backyard". It's possible, then, that a disgruntled Cater intended the suspicious bacon for Woods' dogs, and the County Sheriff's report indeed notes that Woods and his missus were "monitoring the animals for any potential poisoning". That the original cuffing slipped under the El Reg bacon news radar is frankly remarkable. However, it's a tip of the hat to occasional Vulture Central contributor Michael Moran - who has a keen nose for such things - for flagging up the latest development.